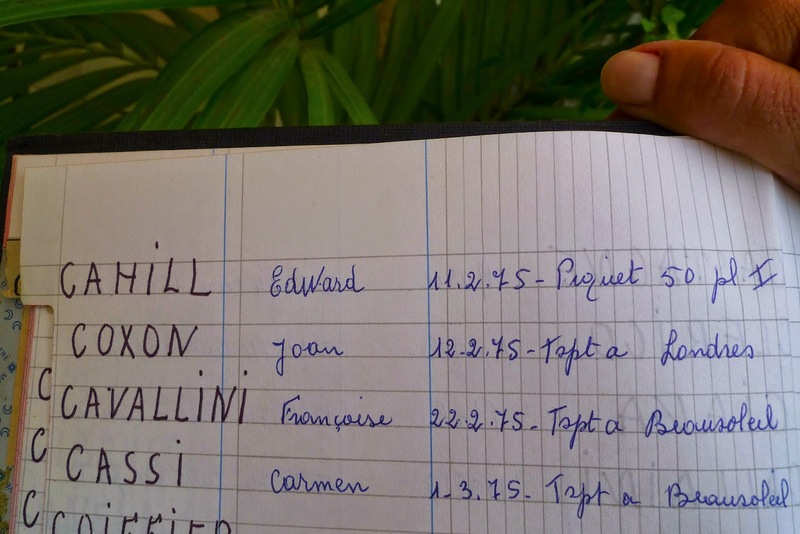 Edward Cahill retired to Monte-Carlo in 1961. I have not been idle and simply driving classic cars around the summer countryside and living a generally hedonistic and sybaritic lifestyle. I do work but not all day! 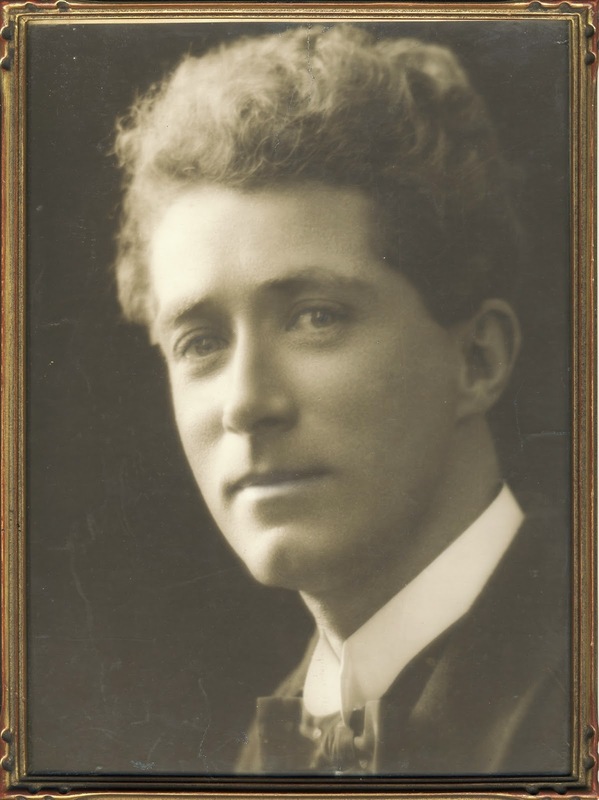 There are many postings on this blog over a number of years concerning the progress of the biography of Edward Cahill. For the few people who may be interested in my progress in putting together the vast jigsaw that is the life of my great-uncle the Australian concert pianist, I chilled the first bottle of champagne in preparation to celebrate the completion of the final Chapter 20. This has now been drunk to celebrate my completion of the first draft of this monumental task which has taken me almost 6 years labour so far. I have now dealt with his retirement to Monte-Carlo in 1961 and the early 1970s just before he was cruelly cut down by a stroke, condemned to repeat endlessly and fatalistically (for those of a metaphysical frame of mind) 'I know, I know, I know, I know...' He died on 11 February 1975. 17 Chapters of the projected 20 Chapters have so far been edited by the gifted George Miller, the editor of my still successfully selling literary travel book entitled A Country in the Moon: Travels in Search of the Heart of Poland (Granta, London 2008). He is now working in a freelance capacity but he knows my writing and weaknesses all too well which is a boon! I am eternally grateful to the Australia Council without whose financial assistance in the form of a generous competitive literary grant has made this great journey of discovery possible. The world of publishing is in a state of extreme transition at present. Risk taking or innovation is not on the agenda of most publishers. Now my attempt to cross the Gobi Desert of literary agents and publication looms. ‘Have you had your ampoule, Eddie?’ asked Mrs. Sieger in a tone accustomed to command. Her jet hair and impassive features under heavy makeup gave her the appearance of a Kabuki theatre mask although she was of aristocratic Swiss extraction. She chose a glass phial from the row in front of her plate, worked industriously at the neck with the tiny saw, snapped off the top and poured the yellow contents into a bowl of what appeared to be porridge. She stirred and began to eat with evident satisfaction. ‘Just about to, my dear,’ replied the diminutive figure of Eddie with his shock of white hair and heavy black spectacles. The swirling colours of the contents of his various ampoules blended together. Seated next to Eddie her husband Arthur was way ahead of the rest of the diners in ampoule-snapping terms, no doubt a result of his German efficiency in matters of therapy. An Coloured South African maid named Sybil stood idly by, waiting for orders. 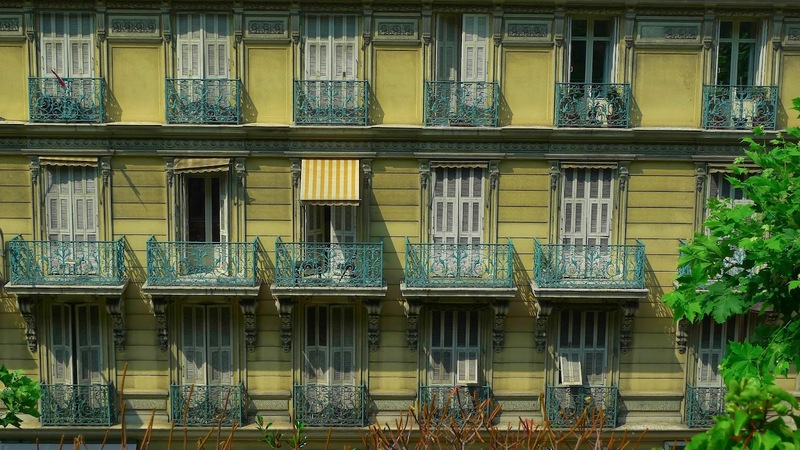 The bleached blonde Monégasque maid Madeleine glared at her furtively in apparent rivalry. The bizarre, brittle sound of the ampoule saws at work filled the dining room. 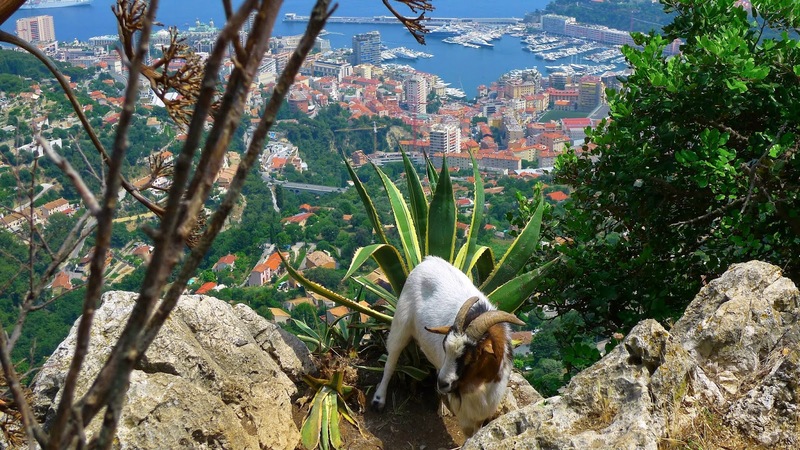 I gazed down over the succulents and cacti of the Le Jardin Exotique de Monaco and the glittering Mediterranean Sea. The ‘dinner’ in the bowl that lay before me filled me with horror. ‘Meat?’ A look of alarm passed over their faces. ‘But we have half a ton of Complan health porridge in the garage!’ shot out Mr. Sieger, horrified at the potential waste. His angular frame twitched. ‘Well… perhaps some fish. We are on the French Riviera!’ I replied over-enthusiastically. Eddie seemed embarrassed by his nephew’s faux pas. Sybil brought me some bread and butter and an apple. It was clear hypochondria ruled the household. ‘It’s time for my preacher!’ Helen suddenly cried. Eddie looked at me and rolled his eyes. She maintained close connections with the Seventh Day Adventist Church and never missed a broadcast. A radio blared the wisdom of choosing the hard rather than the soft road to enlightenment. 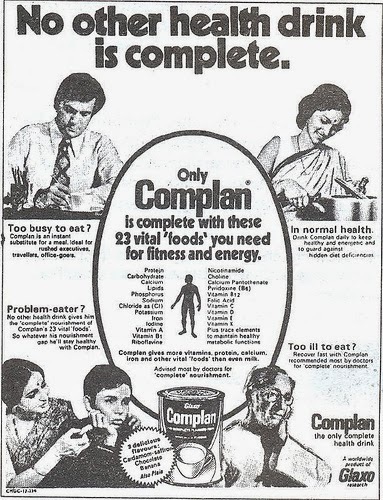 Complan, a Glaxo product, was known as ‘the complete planned food’ with 23 vital ingredients designed for ‘Problem Eaters’ and ‘Those Too Ill to Eat’. It could be mixed with milk as a health drink or eaten as a ‘porridge’ depending on preference. His patrons the Siegers and my great-uncle lived in four interconnecting apartments. We ate in the ‘Eating Apartment’ as ‘one cannot have cooking smells where one lives’. The fact that no cooking of any consequence took place there was irrelevant. We would leave the table after these geriatric meals of Complan and heave our way to the ‘Music Apartment’ where Eddie lived. The sun was setting the first day I saw it which gave the interior the romantic burnish of another age. Still meticulously dressed by Savile Row and Jermyn Street, Eddie’s sensitive small-boned features and platinum blonde hair was swept back in ‘waves of inspiration’ that had made him the darling of the Mayfair salons in the 1920s. He began his recital that evening with a Chopin mazurka, while Sybil fretted with cups of camomile tea. His passion and approach to the music of Chopin betrayed a neurasthenic disposition and that particular quality of irritabilité nerveuse that permeates the music of the Polish composer. He emphasised the intimate folk character and rhythm of the mazurka with great sensibility, dwelling on the ‘grotesque’ rhythmic elements that make Chopin one of the most innovative of composers. In his interpretation he spoke to us often of the influence of the pianist of genius Ignaz Friedman whom he had once heard play Chopin mazurkas ‘in unsurpassed fashion’ in Vienna. This great Polish artist was also greatly influenced by his teacher Theodore Leschetizky. The Siegers fell asleep almost immediately the music began, the long figure of Arthur splayed like a recumbent praying mantis and Helen collapsed like an abandoned marionette. I noticed with alarm she had ‘annexes’ constructed on her shoes to incorporate her large bunions. 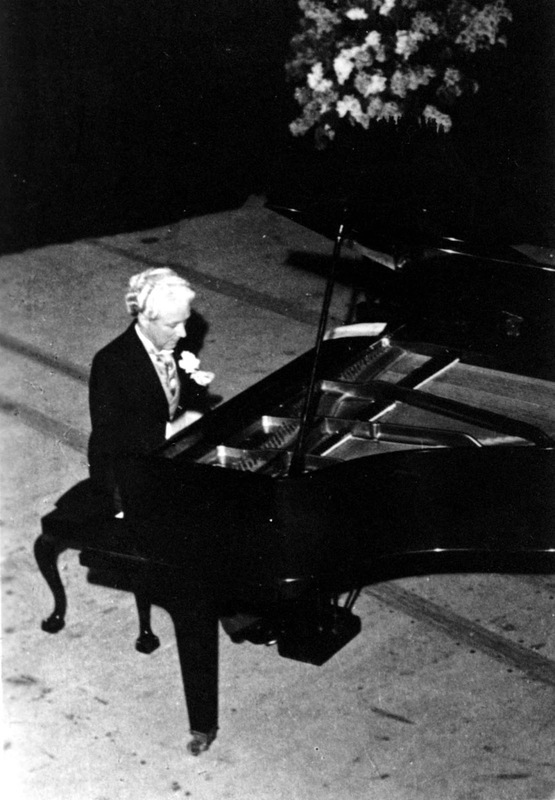 Eddie launched into the opening bars of the Chopin ‘Revolutionary’ Étude, the final study from the passionate Op.10 set. The Siegers lurched awake as a fantastically distorted sound like a cry of despair screamed from the instrument. This was not the result of the anguished music or a protest at the failing powers of the pianist however. The instrument seemed to be jinxed. It had been left off the inventory when they departed South Africa in 1961 which caused endless difficulties with the customs office. The removalists had dropped the piano whilst unloading it off the back of the truck at their Monaco apartments and cracked the soundboard after surviving the long voyage from South Africa. Ever since, the Blüthner had emitted cries of distress under pressure in the upper registers, although the rest of the instrument remained perfectly normal. The rich sound was as unctuous as old port until the fatal crack was passed, then a terrifying cacophony rent the air. It had never been repaired. The evening tableau vivant or rather tableau de mort had become a grotesque parody of Eddie’s days of dazzling renown. I felt a mixture of sadness and embarrassment. Three elderly people imprisoned in a Monaco eyrie desperately dealing with various degenerative illnesses, Eddie the least afflicted maintaining the order of their lives arranging sanatoria in Switzerland. My first visit to Monaco was in 1962 in my early teens not long after Eddie’s own arrival. 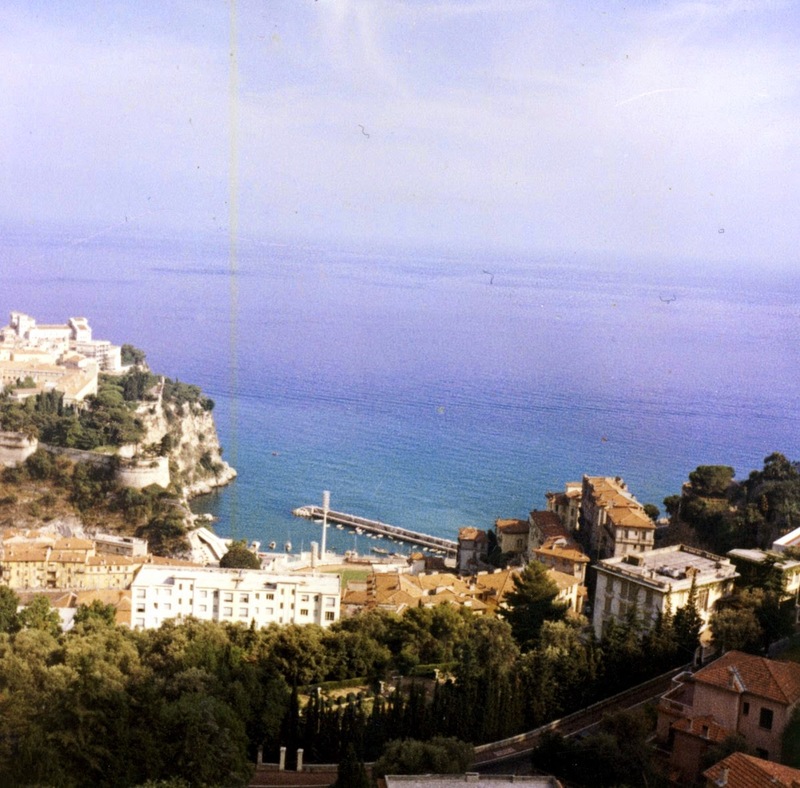 The Siegers had bought their four apartments in 1961 in one of the first high-rise residential blocks known as Le Bermuda situated at 49 Avenue Hector Otto a little way below the Moyenne Corniche but above the Jardin Exotique and Monaco Ville. The views over the Port de Fontvielle were spectacular. 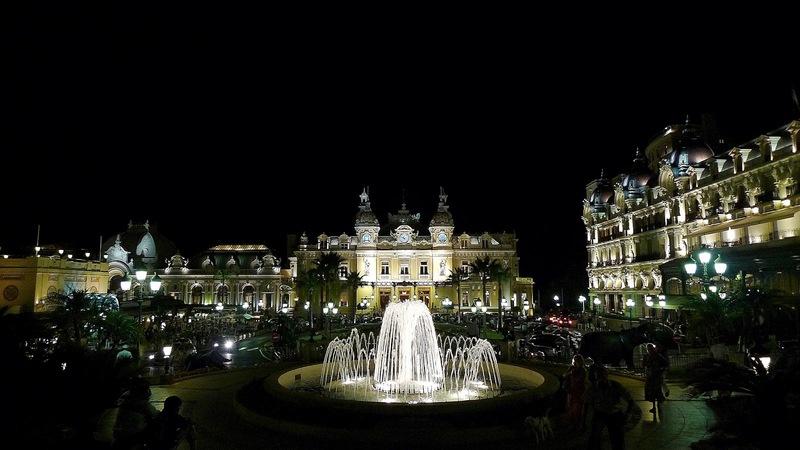 The absence of income tax attracted them to Monaco but they also came for the warm Mediterranean climate and pleasant old world atmosphere of retirees. They stayed initially in August 1961 at the Hotel Balmoral, a fashionable belle époque construction dating from 1896 with superb views over Port Hercule. A Dutchman of their acquaintance commented ‘You people taking flats in Monaco are the bravest people and ought to get medals for courage!’ Eddie did not accompany them until his beloved ‘Noni’ died in Somerset West in November. He could not leave her while she was ill but now she was gone he felt lonely. Helen wrote to him in December 1961 from Monte-Carlo ‘Arthur is full of pep and I feel 100! So let us thank our dear Lord for all his manifold blessings.’ After a great deal of thought he decided to join them in Monaco and took passage on the luxurious Pendennis Castle arriving in Southampton early in 1962. He then boarded the familiar but now nationalised and significantly less glamorous Le Train Bleu to Nice and then on to Monte-Carlo. I remember scarcely anything of my first visit in the spring accompanied by my parents. I was only fourteen with no conception of the true musical status of my elderly relative. My father was attached to the Australian Embassy in Rome and seconded to FAO and WHO at the United Nations as a Medical Officer. We lived in a vast apartment in Monte Mario whose terrace opened onto a superb panorama of the ancient city that lay invitingly at our feet. I was often preoccupied with my examinations at St. George’s English School in Parioli, the most elegant residential address in Rome located near the Villa Borghese. The Headmaster was famous for his fencing skills, able to put out a candle flame ‘on the lunge’. I particularly loved visiting the nearby catacombs, the Coliseum and strolling along the Appian Way to the tomb of Cecilia Metella. The immense historical adventure of living in Italy was one of the greatest formative experiences of my life. Music and the piano were not yet a defining part of it. On my first visit to Monaco I vividly remember only our staying at the then slightly down-at -heel Hotel de Paris, walking with Eddie in the Jardin Exotique and driving in our car, a bronze Mk II Jaguar, in which we were touring France. My father examined these three geriatrics and was horrified at the exotic treatments being meted out to them regardless of expense by the medical fraternity of the Principality. We wandered in the gardens and took tea on the balcony. The responsibility of his two aged patrons enjoying constant ill health hung over Eddie like a suffocating miasma. This household was a bizarre spectacle for a young boy. Three elderly folk struggling to keep each other alive high above Monaco harbour. The hotel has recently been redeveloped into the Résidence Balmoral one of the most glamorous contemporary addresses in Monaco. A Roman noblewoman of the 1st century BC whose father was Quintus Caecilius Metellus, Consul in 69 BC. Between 68 and 65 BC he conquered Crete. Her husband was probably Marcus Licinius Crassus, who distinguished himself among Caesar’s entourage on the campaign in Gaul. He was the son of the celebrated Crassus, member of the First Triumvirate along with Caesar and Pompey. 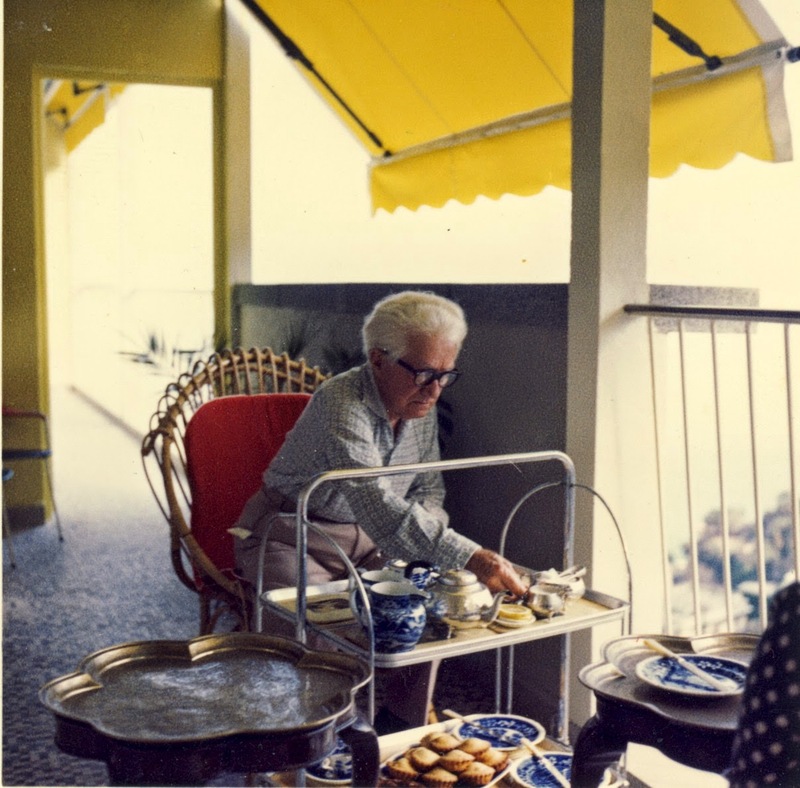 Edward Cahill serving afternoon tea on the balcony of his apartment Le Bermuda in Monaco in 1962 aged 77. He died in Monaco in 1975 at the age of 90. I walked in the blistering heat that afternoon to the grave itself, now empty. 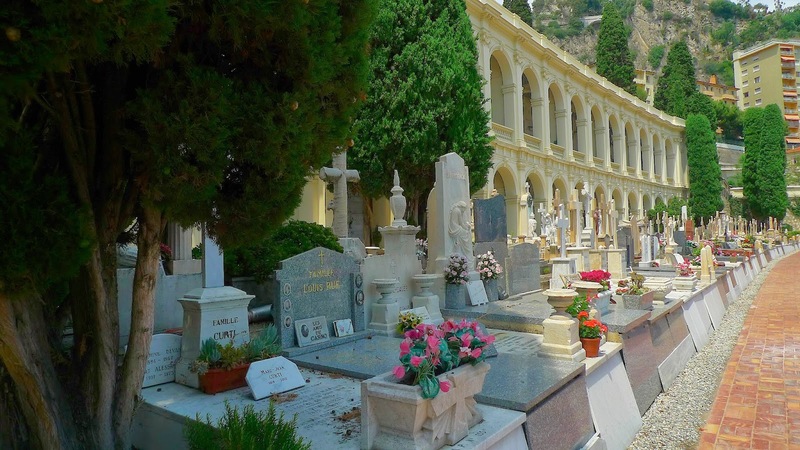 Prince Rainier allocated a special part of the cemetery called Jacaranda for the poor residents of Monaco who could not afford the expensive funerals of the Principality. 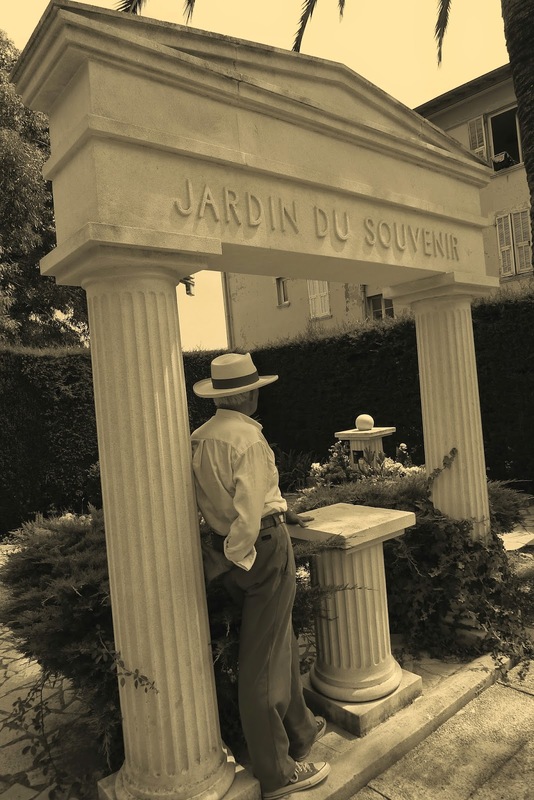 Eddie had lain there for five years before being cremated and his ashes placed in a common grave in the area of the cemetery called Le Jardin de Souvenir. Our family could have rented a grave for another 30 years but the cost was weepingly exorbitant. There were actually many notices on the 30 year graves advising relatives that if a further arrangement was not made the deceased would be cremated and placed in the common grave for ash remains.